Some 12 per cent of police forces in England and Wales are now recruiting for a new chief constable, just over a year after warnings were aired over a lack of available talent to fill vacancies. 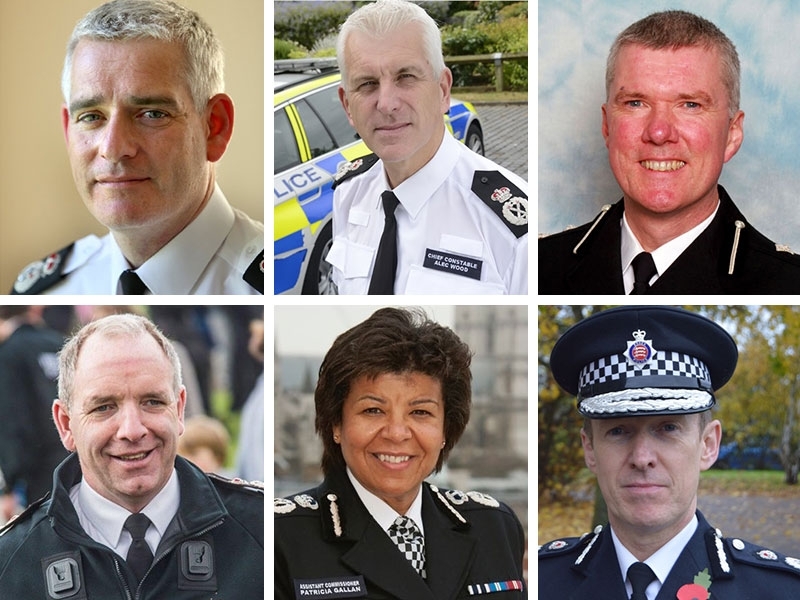 Recent weeks have seen five chief constables and a Met assistant commissioner announce they are leaving the police service. These include the national leads for some of the most high profile and challenging portfolios – digital policing, volunteering, aviation and performance management. North Wales Chief Constable Mark Polin, the head of the Chief Police Officers’ Staff Association, is also leaving the service. Durham Constabulary Chief Constable Mike Barton has been in post since 2012 and in policing for 38 years, and is not retiring. On why chiefs might want to leave, he said: “That there are so many changes to pension rules means sometimes people have to make decisions that are best for their families. I know it can be the case that it isn't financially sound to stay, you would effectively be paying the government to stay in." There have already been concerns raised about the lack of candidates for chief constable jobs, with a Police Oracle analysis revealing most chiefs appointed in 2015 had been the only candidate for their job. Last year chiefs noted an imminent shortage of would-be chief officers being trained to meet upcoming vacancies, but the NPCC urged the government not to introduce direct entry at the top level of the service. Former British Transport Police chief Andy Trotter told Police Oracle: “I don’t remember such a number of chiefs retiring at the same time though I don’t know if you can read too much into it – there is a whole new life outside where you can relax a bit more. “The pressures have always been great but I think they have become more personal, the focus is now very much on the chief especially in the media. “On the recruitment side, police and crime commissioners often know the deputy and people aren’t going to risk running if they don’t think they have a chance. CC Mark Polin - North Wales – head of CPOSA. Length of service: 35 years. CC Simon Edens – Northants – head of the NPCC performance management committee. 37 years. CC Dave Jones – North Yorks – NPCC lead for citizens in policing. 32 years. CC Stephen Kavanagh – Essex – NPCC lead for digital policing. 33 years. CC Alec Wood – Cambs – NPCC lead for aviation. 32 years. Assistant Commissioner Patricia Gallan – Met Police. 31 years. At least six forces will now be competing among the same small pool of candidates in the coming months for a new chief constable and, in the Met, a new assistant commissioner – which is the equivalent rank to a chief. But Dafydd Llywelyn, from the Association of Police and Crime Commissioners, said: “As part of their role in representing the public, police and crime commissioners are directly responsible for the appointment of chief constables. PCCs are working with the College of Policing to ensure that the talent pool of applicants for these key roles is as broad and deep as possible. The College has revised its application process for would-be candidates to the senior command course and held workshops to encourage under-represented groups to put themselves forward for the roles. Jo Noakes, SCC director for the College of Policing, said: “An increase in the number of applications for last year’s Strategic Command Course (SCC) assessment processes resulted in our most diverse course yet. “The delegates that graduated in March 2018 included more superintendents and police staff. “There were also increases in underrepresented groups and students from other law enforcement agencies and public sector partners. The NPCC did not respond to a request for comment on the issue before this article went live.